Catherine Denton: 3 Things to Take Out of YOUR Closet! 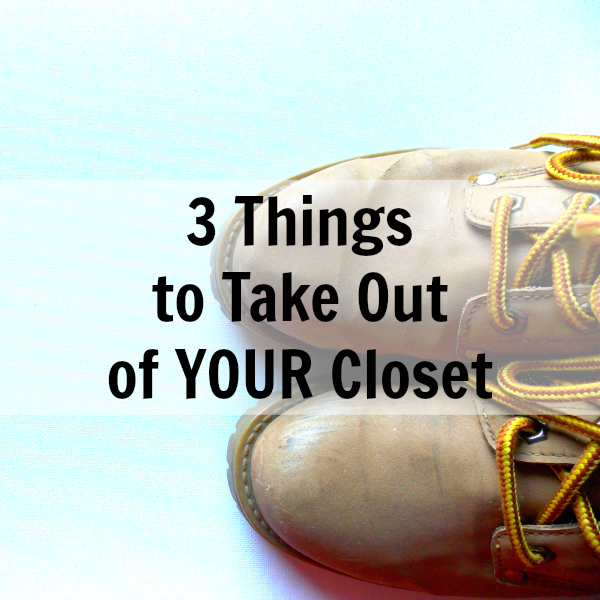 3 Things to Take Out of YOUR Closet! We often hang onto items way past their prime. I'm not sure exactly why we do this, but it's time to move on. 1. Get rid of anything with holes or stains. I know it's your favorite tee from high school or the most comfy pair of leggings you ever owned, but it's time to say goodbye. Take a picture if you want the memory, or make a pillow; just keep it out of your closet. 2. Get rid of the seamstress pile. You know the one, it's full of all those things that you meant to fix or get fixed but didn't. It's the pieces with the tear at the seam, or the jeans that need shortened, or that tee that would look so cute if you just took time to do that diy. Time to let yourself off the hook. Get rid of that pile unless you were planning to sew it up or take it to a seamstress today. You don't need the extra guilt every time you see that pile you haven't yet run to the tailor; just cut your losses and give it away. 3. Get rid of shoes that are breaking apart. Those poor shoes that have served us far past their prime with holes in the toes or a sole that's beginning to come apart. They don't support our feet and we keep wearing them! Time to get rid of those ole' trusty friends. They've served their time and they need a break. If you love them so much, give them a sacred spot in your garage. Or if you're really determined, take them to the shoe repair shop. You'll save yourself lots of time by not having these worn out items in your closet! When you pull something out, it will be what you feel good in ~ not something you're embarrassed to wear out. Which of these do you think might be hiding in your closet?